Beautiful oversized lot located in the desirable Tanglewood subdivision! 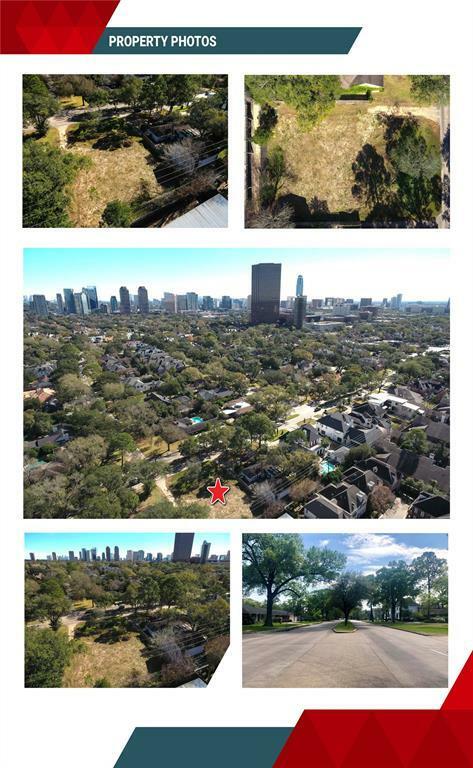 This 15,000sqft lot is cleared and ready for the construction of your new home. The Tanglewood subdivision is surrounded with restaurants, education opportunities, entertainment venues, shopping and more. 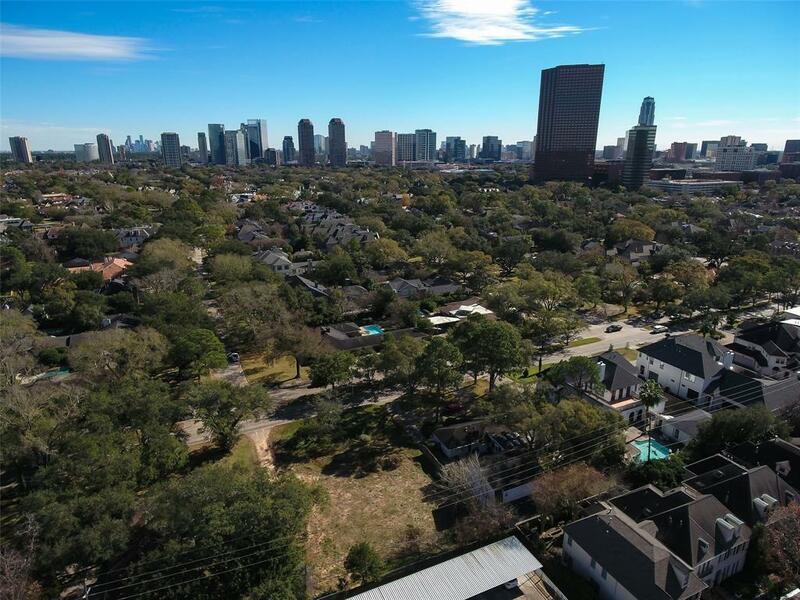 The property is less than 10 minutes away from Uptown Park, Memorial Park and The Galleria. 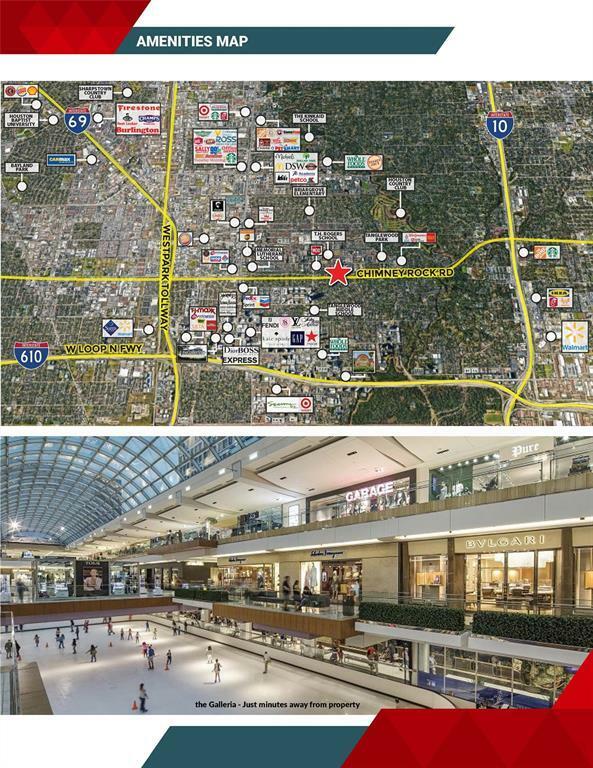 The Galleria is Houstons most popular retail and tourist destination. Amenities include a full-size ice rink, a state of the art childrens play area, two swimming pools, full-service national and international banks, multiple tax-free reimbursement locations for international guests, and a post office. For shopping, opportunities are endless at anchoring stores at high-fashion favorites, such as: Chanel, Christian Louboutin, Fendi, Gucci, Lora Piana, Louis Vuitton, Prada, Saint Laurent, Tiffany & Co., and Valentino. 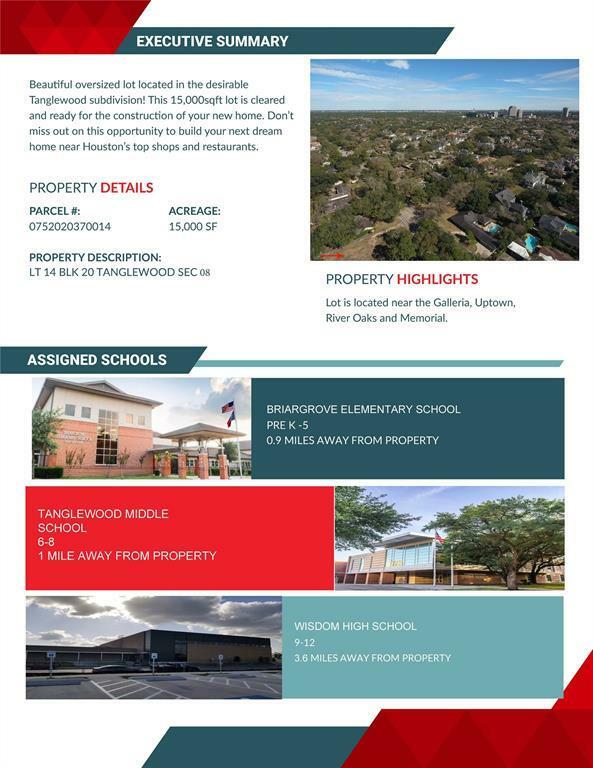 Dont miss out on this opportunity to build your next dream home near Houstons top shops and restaurants.